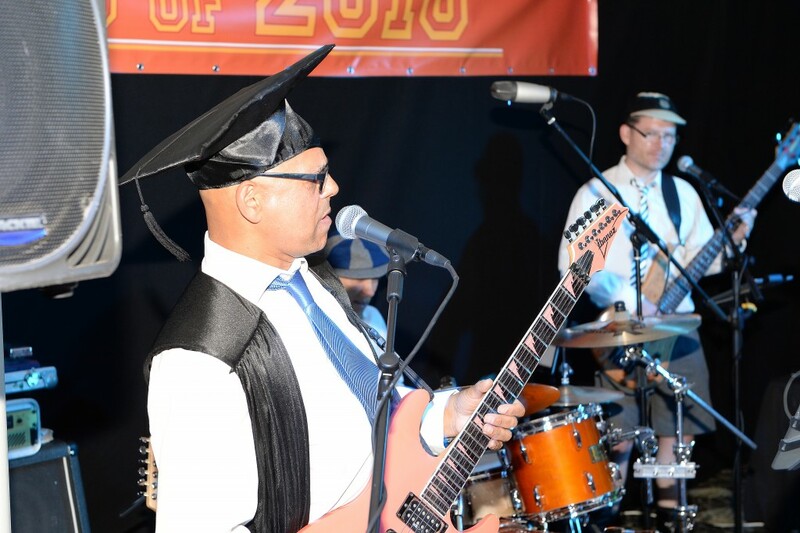 We’ve years of hosting corporate parties, Christmas party nights, Summer Party nights and Gala Dinner theme nights – whatever your reason for a celebration, you can be certain you’ve come to the right place when you contact Accolade Corporate Events. We’ve a huge range of themes that we’ve already hosted for our clients from a Bavarian Beer Festival, Venetian Ball, Back to School, Wild West, Winter Wonderland, Brazilian Carnival party, a Music Festival summer party to a Fire and Ice winter party but if you’re looking for something unusual, something totally unique designed especially for you then talk to us – we thrive at creating new and exciting corporate party themes! Contact us for a quote and we’ll call you back within the hour. German Beer Festival Stamp those feet and slap those thighs! Our hugely fun German Beer Festival is a wonderfully interactive and uplifting themed party! 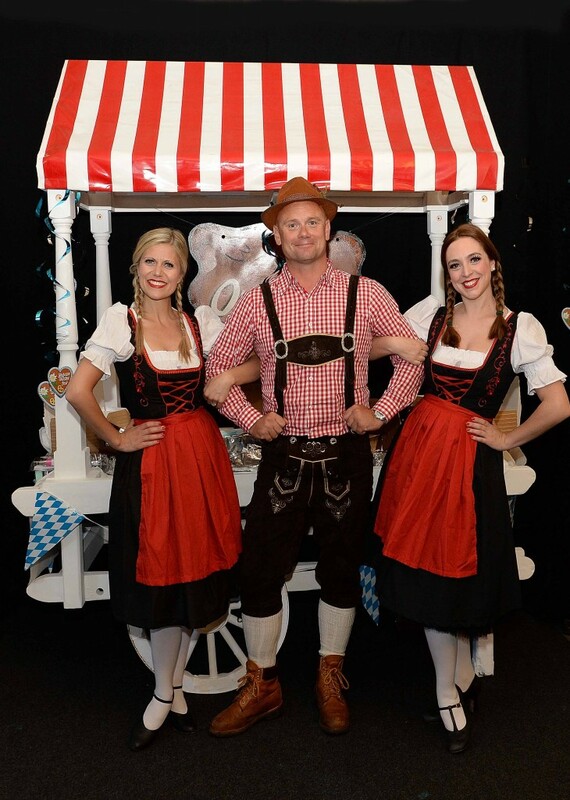 Get ready to raise your steins and ‘prost‘ as we treat your guests to a Bavarian themed experience with oompah bands, Frauleins and Herr Flick! 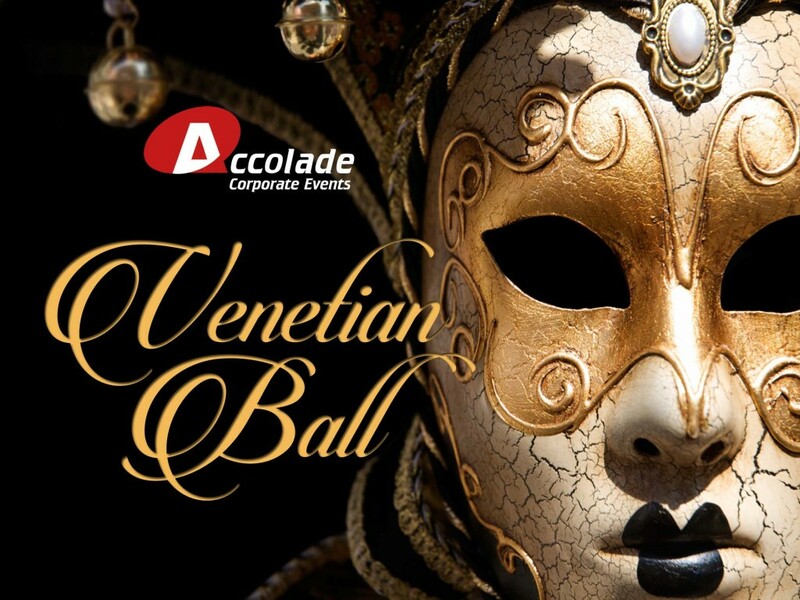 Venetian Masquerade Ball immerse yourself in splendour and Venetian glamour as we treat you and your guests to an amazing feast of Venetian Royal Society. With costumed entertainers, masks and sublime music, this is a truly unforgettable night and one of our most favourite corporate party themes. Winter Wonderland: Each year this is a firm themed Party favourite is an ideal way to immerse yourself in a little festive spirit. 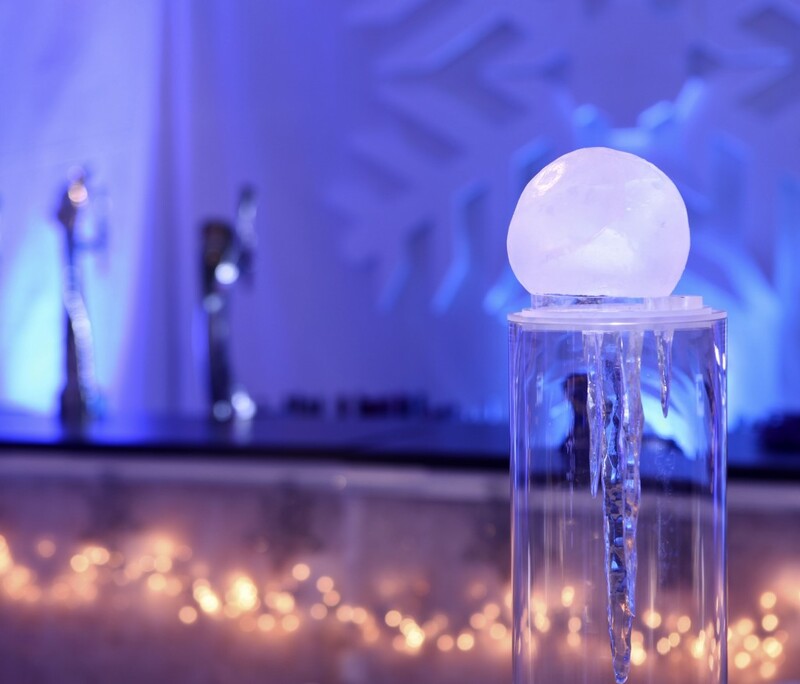 We can totally transform your room into a shimmering white and blue icy spectacular and your guests will love that when they walk through the door, snow gently falls on them from our snow machine – this is a stunningly effective company party theme. Add in a band and disco and you’ve got all the right ingredients for a great party night. 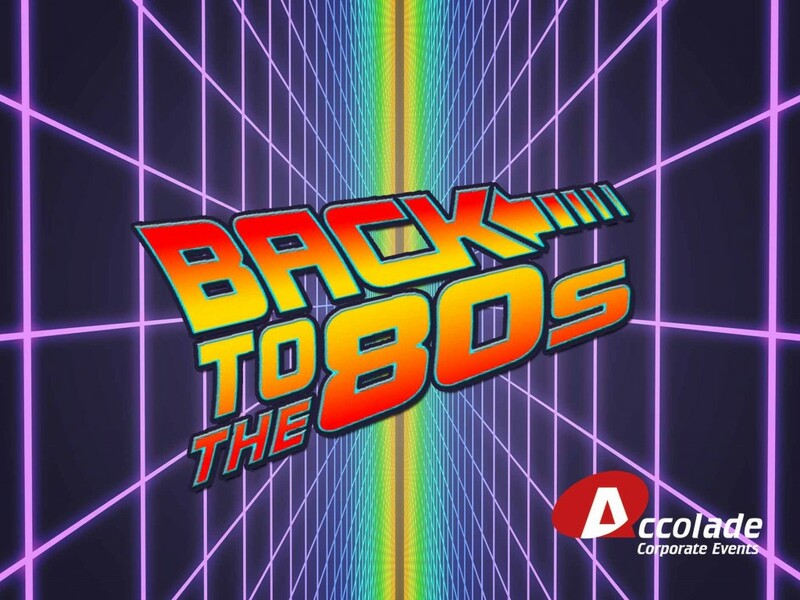 Back to the 80’s: Travel back in time and experience all that was good and cheesy from the wonderful 80’s era! We’ll have shoulder pads, glow sticks and you’ll be strutting your stuff to retro tunes on the illuminated multi coloured dance floor – a top night all round! Welcome to the Speakeasy! 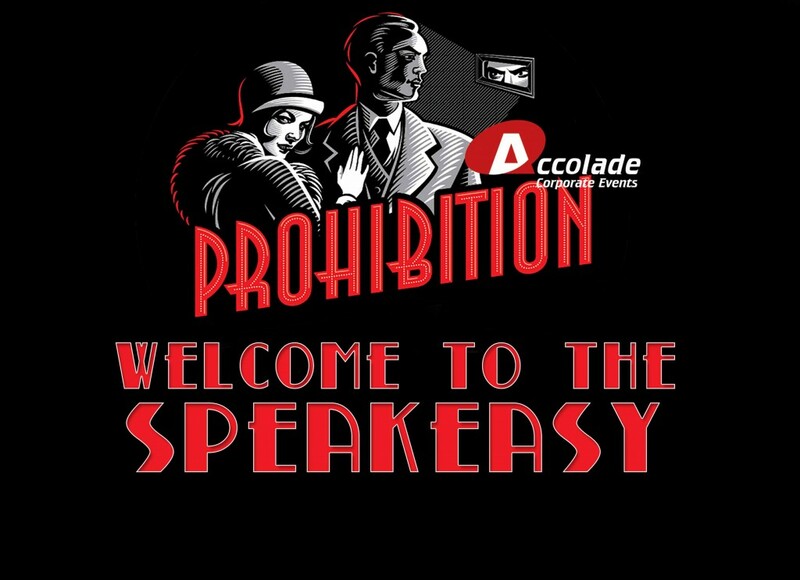 Step inside the secretive era of Prohibition and the Speakeasy; into the world of Gangsters and Molls and the glorious sound of the jazz and swing bands. Learn to dance the Charleston and drink gin out of a teacup. This is a themed party full of intrigue and glamour! Enchanted Forest: Walk into a sparkly magical forest, earthy, green and mystical. With harpists playing soothing music, running water features and a forest stage, this is going to be a wonderful evening. 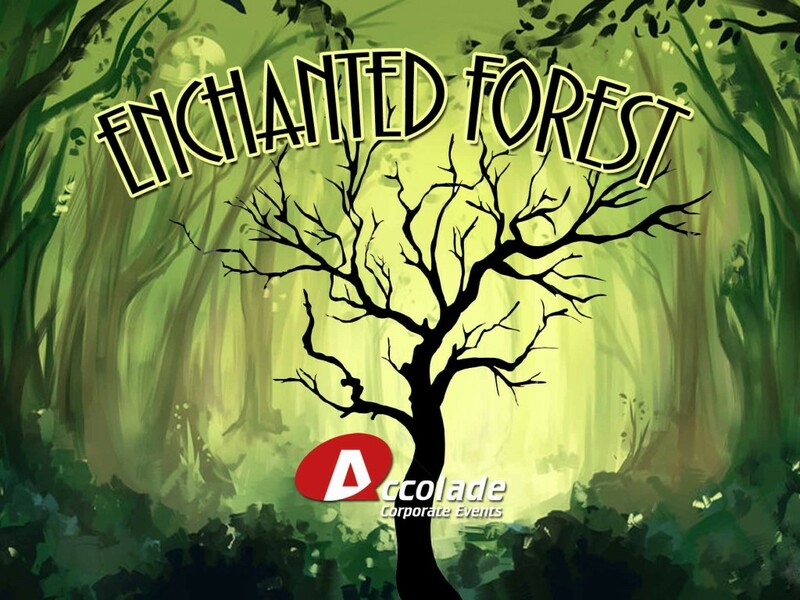 If you’d like more information on our Enchanted Forest party theme then why not call on 0800 083 1172. 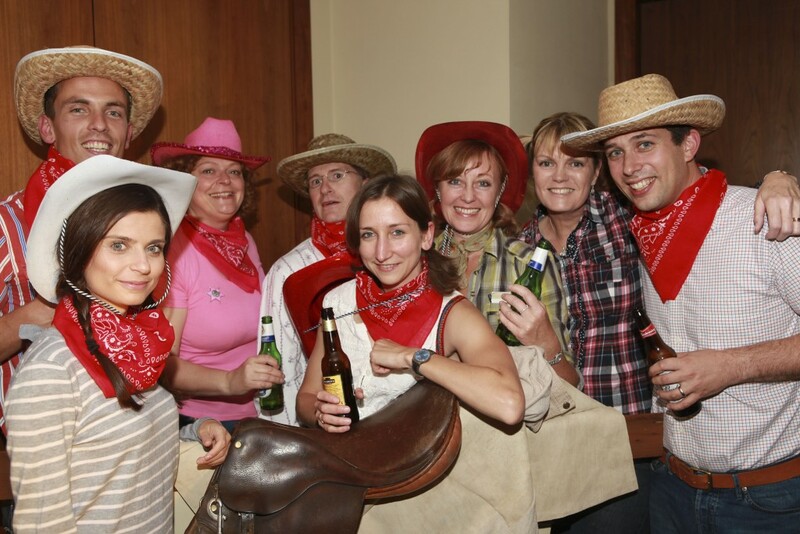 Wild West Themed Party: Yeeha partners! Saddle up your horses, we’re going to take a journey into the Wild West! This is one of the most popular corporate party themes as it’s so much fun! With hay bales, wanted posters and good old US of A flags hanging this is a party that’s going to be mighty fine! We’ll give your guests hats and neckerchiefs and they’ll enjoy trying their hand at the quick draw and doing a little square dance or barn dance. Perfect entertainment for all to enjoy. 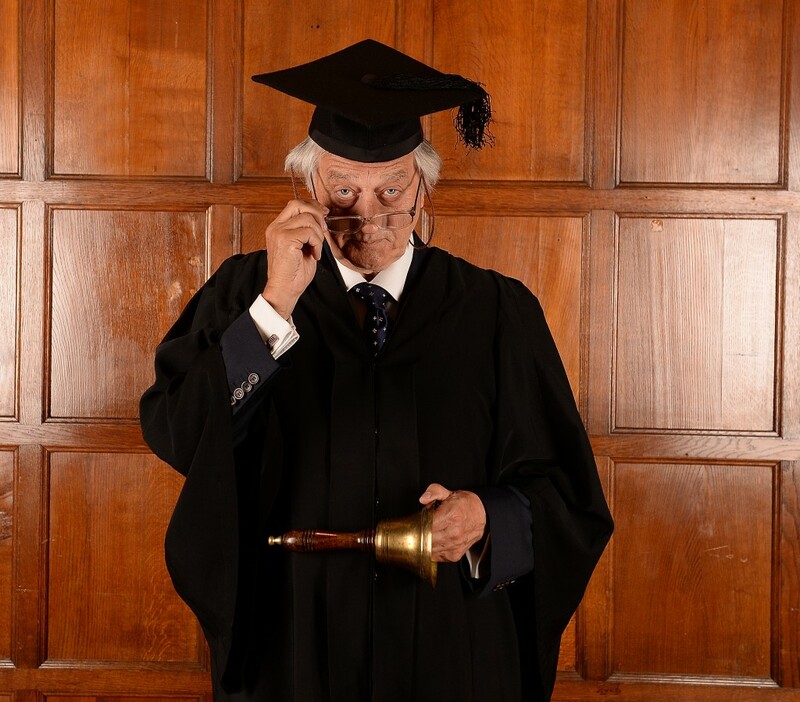 Back to School: If you host this company themed party then you’ll go straight to the top of the class! If you want a company party theme that’s a lot of fun, a little retro and lots of hands on back to school party entertainment then this is right up your street! With our costumes Headmaster and Headmistress making sure everybody behaves and our school girls and boys entertaining, this is a top night! Vegas Baby: Our Vegas themed party is a real winner! 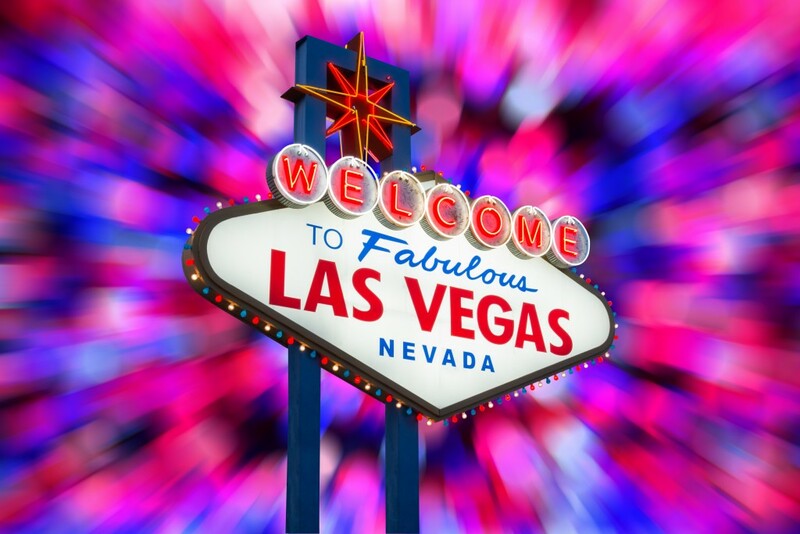 Step in to the opulent world of Las Vegas, as VIP’s your guests will walk the red carpet,with rich reds and blacks filling your room, huge feather plumes, giant dice and the all important Las Vegas sign to greet you, you’ve definitely arrived! Try your hand on our casino tables but be careful not to lose your shirt! What better entertainment than to hear from the King himself! Elvis, his entourage and of course the show girls put on a spectacular show that everyone will love and you won’t be able to keep them off the dance floor! Other corporate party themes include James Bond, Brazilian Carnival, the Speakeasy, Under the Sea, Victorian Christmas, German Beer Festival and many others…call us for more information and a quote. Do you need corporate party themes ideas and inspiration? Well, you’ve come to the right place! We’ve got a wide range of superb ideas, from high impact and totally immersive to a light sprinkling of theming for your next event. We love to create new and exciting themed parties for our clients who come back to us year after year. We are in the process of updating this page and there are many more themes that we can offer, so please do contact us today for further details. Corporate Party Themes designed to WOW your guests! We excel in creating corporate party themes specifically for our clients! When you are hosting a company party, you want to ensure that you make the most of your event, you want it to be different, to stand out and to be the highlight of your company calendar and that’s where we come in – we’ve got an extensive range of different themes and we love the opportunity to create new themes especially for our clients. Fill in the quick contact form on the right hand side of the page or call our enthusiastic team on 0800 083 1172 and let’s start working on your best party ever! Need some help in planning your event? We can most definitely help you. 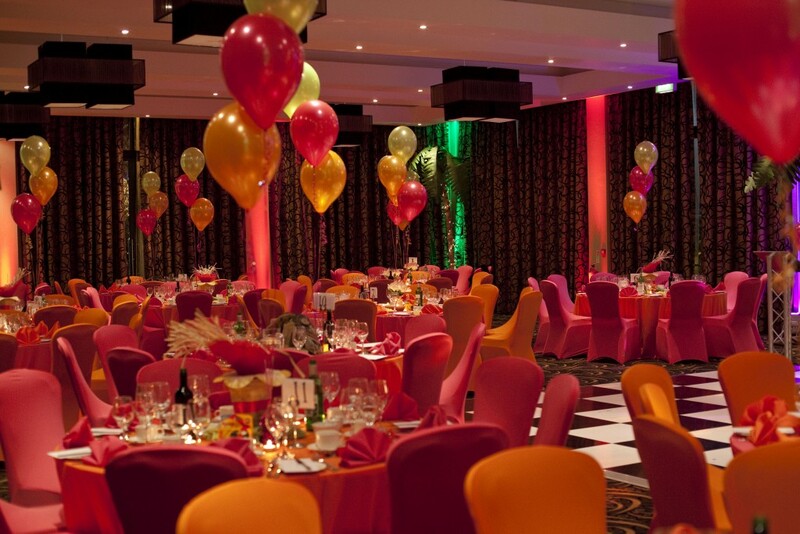 Call us today on 0800 083 1172 and speak to one of our friendly events team today. Need to keep your company party a secret until the big day? No problem, why not whiz us over a message and let us know what you are looking to organise and the best way to contact you.